Hire one intern and financially sponsor another intern at a nonprofit organization in summer 2016 through Hire1Youth. Year One Progress: Hired one intern and sponsored another intern. Internship was extended through November 2016, and intern was hired into a full-time position by Brown Advisory. Year Two Progress: Hired one intern and sponsored another intern. Our intern returned to high school for her senior year. Mentor 12 Baltimore City middle school students from September 2015 through June 2016 in partnership with Big Brothers Big Sisters’ Beyond School Walls program. Year One Progress: Met every other week with 12 fourth-graders from Patterson Park Public Charter School. Year Two Progress: Continued to work with the same group of students from Patterson Park Public Charter School. Maintain percentage of professional services expenditures with firms with an office in Baltimore at 75% over the next three years ($1.7 million in 2015). Year One Progress: Spent 63 percent of professional services spend with local firms in first year (2016) due to a lower than average number of deals. We are on track to achieve our goal for the three-year period based on deal activity in 2017. Year Two Progress: Spent 87 percent of professional services spend with local firms, giving us a two- year cumulative spend of 79 percent, which is ahead of our goal. Encourage all local Baltimore professional services firms with which we spend more than $50,000 annually to join the BLocal initiative. To date, four out of five firms have committed to BLocal. Year One Progress: Four out of five firms committed to BLocal. The fifth firm is a national firm for which the local office was not able to make a commitment. However, the local office did hire a summer intern through the Hire One Youth program. Year Two Progress: Continued to look for opportunities to promote BLocal and encourage other local firms to join the initiative. Increase nonprofessional services spend with Baltimore-based businesses by 30% over the next two years, to approximately $250,000. The 2018 goal will be to spend $350,000. Year One Progress: Increased expenditures by 43 percent, to $272,280 in 2016. Year Two Progress: Increased targeted spending by 22 percent, to $331,933 in 2017. Host 10 meetings in Baltimore in 2016 (double the present number) to increase spending with local hotels, restaurants, and transportation services. Year One Progress: Hosted 10 meetings in Baltimore. Year Two Progress: Hosted 12 meetings in Baltimore. In total, $162,181 was spent with local hotels, restaurants and transportation services. We also continue to recommend BLocal to our vendors. Make a financial investment of $15,000 in support of Big Brothers Big Sisters’ Beyond School Walls program. Year One Progress: Invested $15,000 with Big Brothers Big Sisters’ Beyond School Walls program. Year Two Progress: Invested $15,000 with Big Brothers Big Sisters’ Beyond School Walls program. 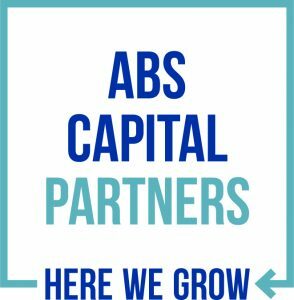 ABS Capital Partners is an investment firm focused on providing equity investments and business expertise to small growth companies located in North America. Our goal is to deliver superior results for our investors—and ultimately the teachers, state workers, students, and charitable organizations they represent. We have backed more than 120 growth companies, including local Baltimore businesses such as Bambeco, ConnectYourCare, Brown Advisory, and Metastorm (acquired by OpenText). ABS was founded in 1990, originally part of Alex. Brown & Sons, and has 23 employees in our Baltimore office with an additional seven employees based in San Francisco.